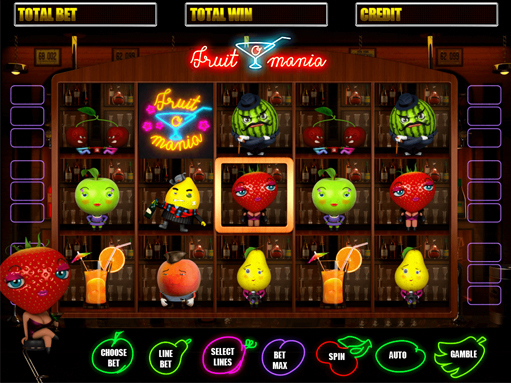 Once, in the world of gaming slot machines, the pioneers of slot machines were slots with fruit theme. Over time, the graphic design of this direction has leaped forward. 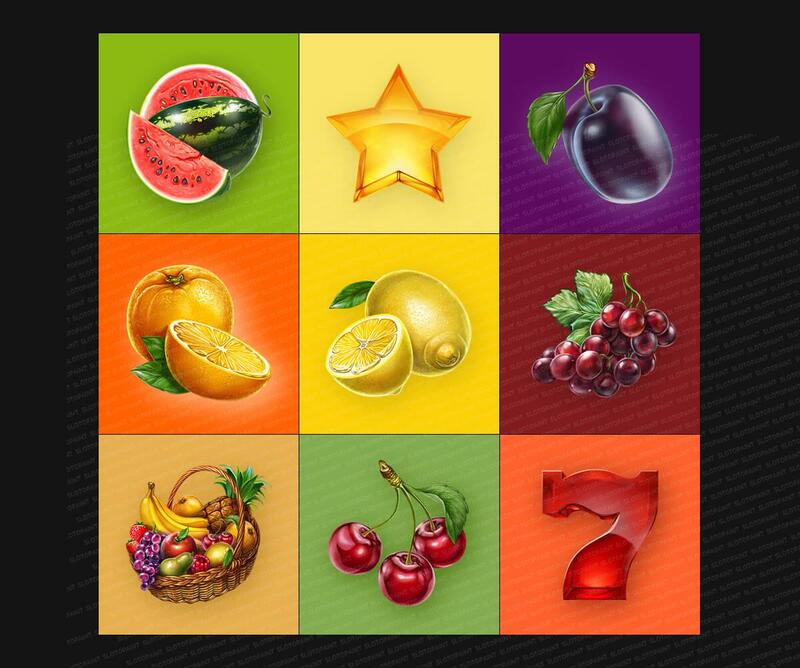 Moreover, there was a huge variety of unique ideas, implementation of which will expand the borders of conventional thinking about the virtual excitement, but the classic remains the same all the favorite theme for many players. 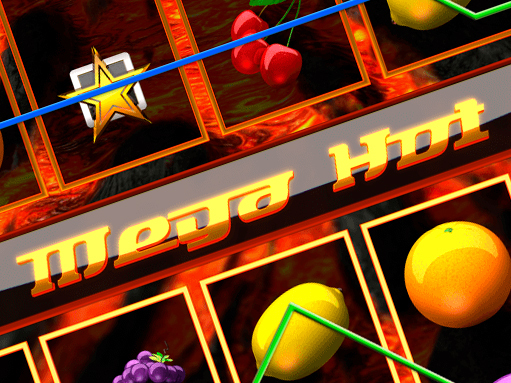 If you are an ardent fan of the classic slot machines, then we will gladly please to your tastes and preferences. 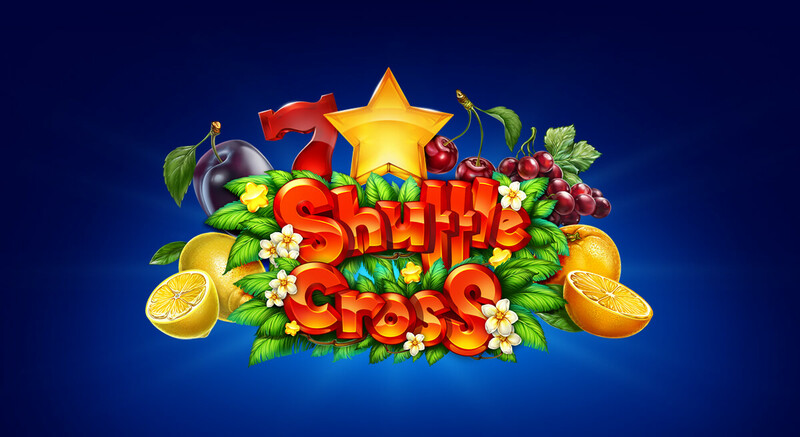 Welcome to a new gaming slot machine “Shuffle Cross”, made in the best traditions of the genre. Each symbol was designed from a scratch to introduce you a unique view and originality in well known objects. Initially, we drew sketches, giving credence to the form and choosing the most appropriate angle, then chose the right color and lighting to give a fair of volume and finally ready prototypes have implemented into the overall picture of the game reel. 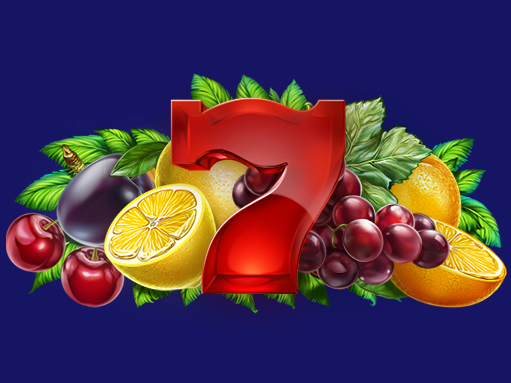 Sometimes, while watching the final versions, we got an impression that the fruit looked so natural, that we wanted to touch or taste them, and if you take them and squeeze a little in your hands, you could get juicy splashes on the screen. What can we say? 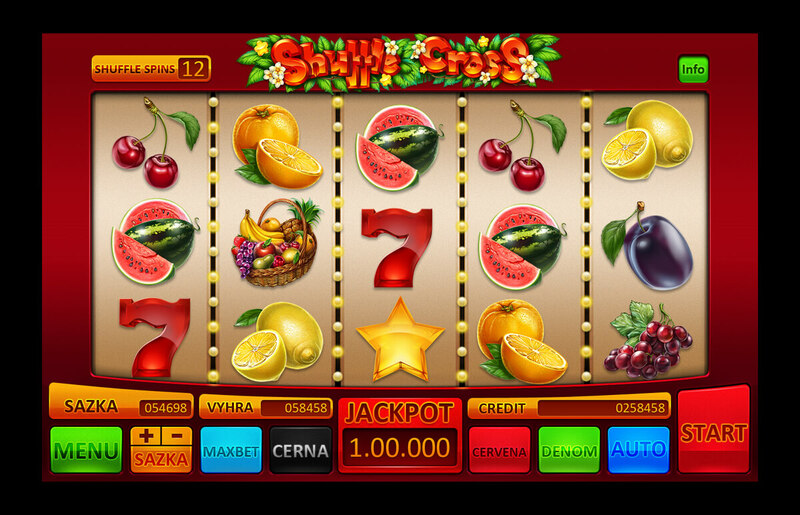 Now you can appreciate the work, designed by us, playing our slot machine “Shuffle Cross”. We are waiting for you! 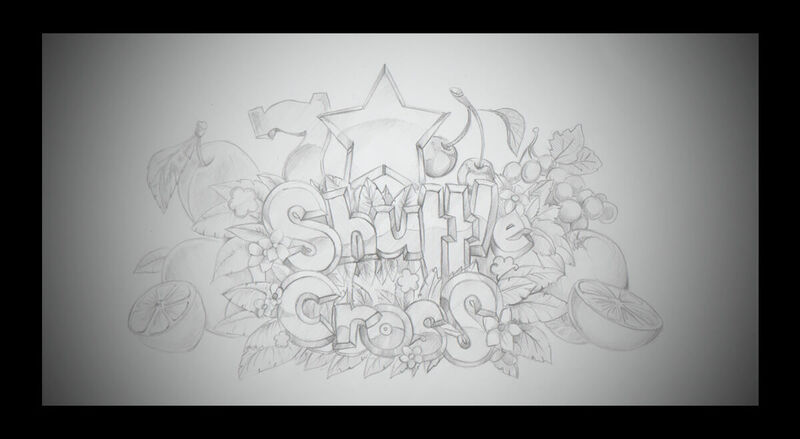 Development of the preliminary, sketchily version of the logo for the game slot machine “Shuffle Cross”. 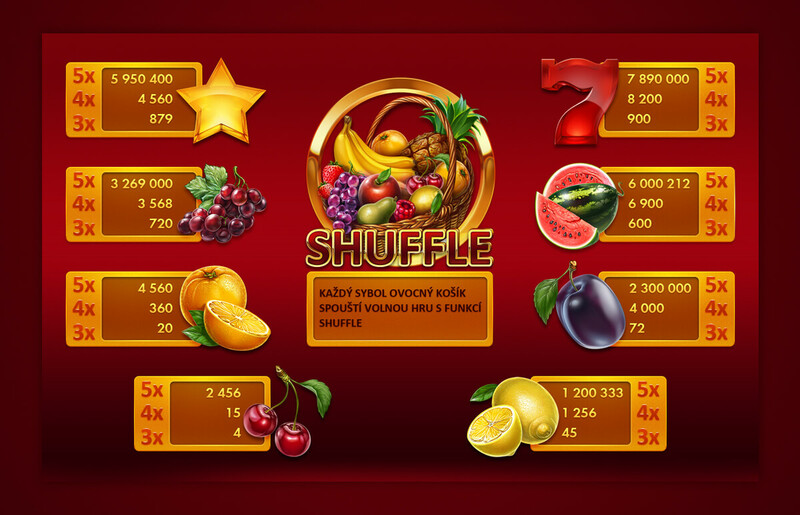 Development the preliminary sketches of gaming symbols of the slot machine “Shuffle Cross”. 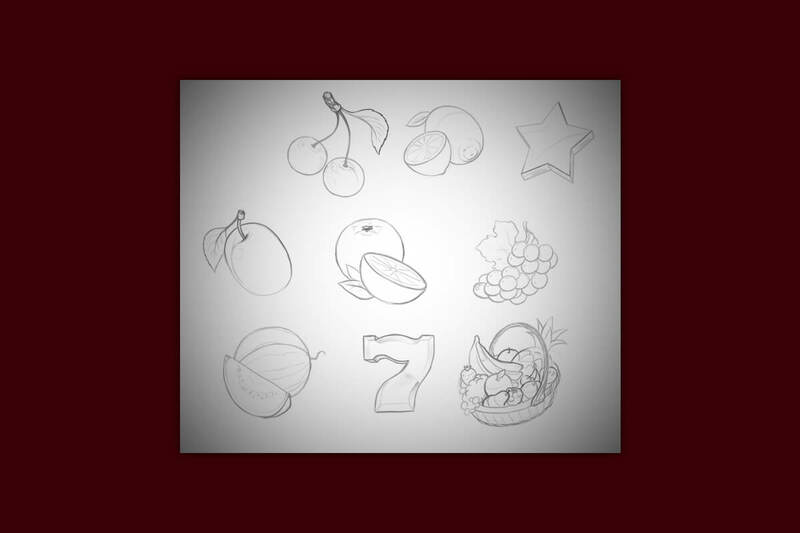 Final versions of the game symbols for the slot machine. 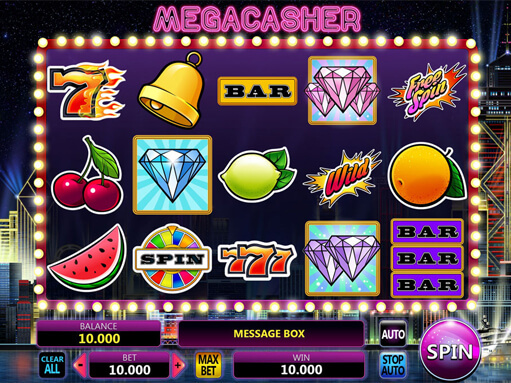 Graphic design of the game reels, symbols, plates and buttons to navigate through the game world of the slot machine. Check out the rules of the game and the paytables.